Victoria Croft, the national manager of Collegiate & School Programs for the NRA, has announced a new program that could make its debut as early as next year: the NRA Intercollegiate Rifle Club Championship. This new championship would be geared toward ALL collegiate rifle shooters, encompassing NRA College Rifle Clubs, Varsity Rifle Teams, NCAA Rifle Teams, ROTC and independent shooters. Currently there is no championship for NRA College Club participants, Varsity Rifle Team participants, or independent college-age rifle competitors. Croft said this would give them the chance to be represented. Presently, the NCAA Championship invites only 48 NCAA rifle shooters to participate each year. The proposed NRA championship will triple championship participation and help foster collegiate rifle programs across the nation. 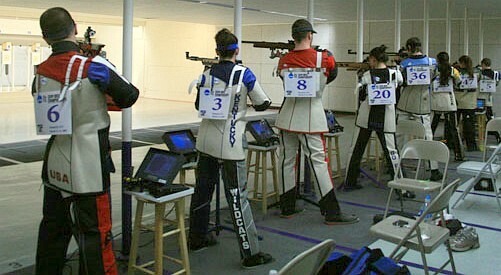 Qualification for the Championship would be determined through NRA Collegiate Sectionals. Funding for this championship would come from the NRA Foundation, the same program that funds the NRA Intercollegiate Pistol Championships and the ACUI Clay Target Championships. The proposed Intercollegiate Championship would include a training summit similar to the one offered at the NRA Junior Air Gun Championship. Story and photo courtesy the NRA Blog. Share the post "NRA Plans New Intercollegiate Rifle Club Championship"
So where are the scores for the club championship?? ?